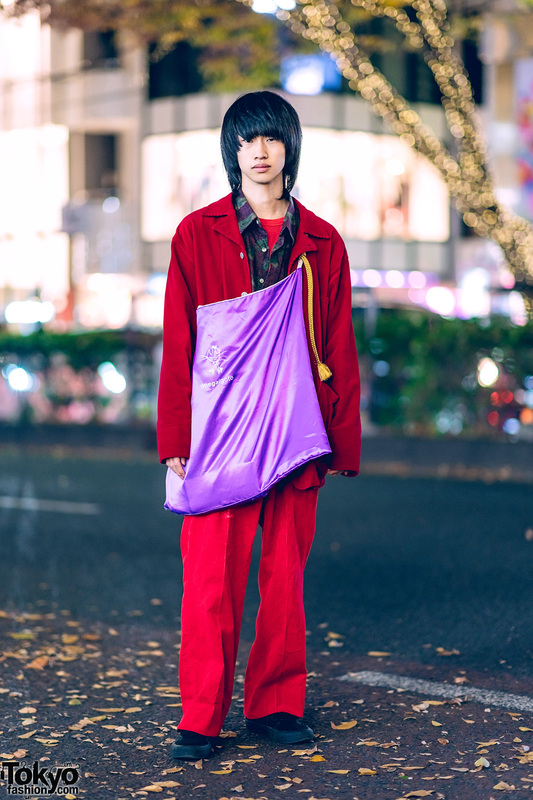 Japanese artist wearing a red corduroy suit in Harajuku. 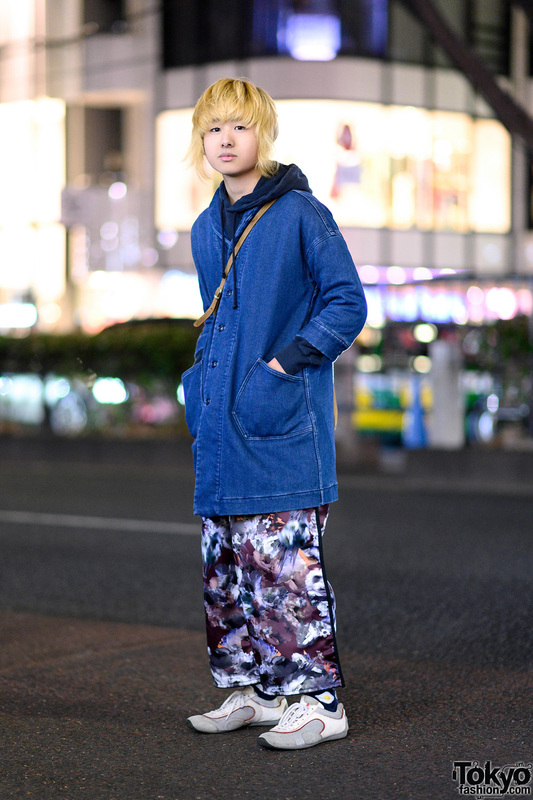 Blonde-haired student sporting a denim jacket over a hoodie, graphic print pants, white sneakers and a sling bag in Harajuku. 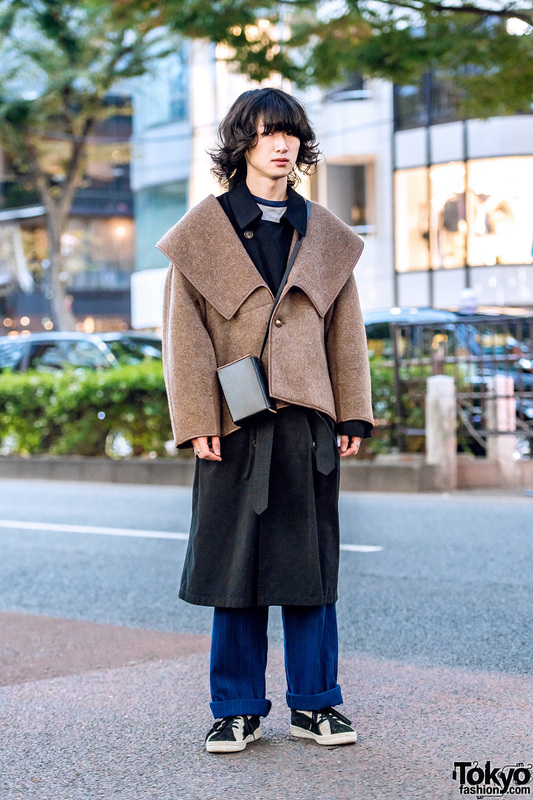 Harajuku guy wearing a brown jacket with wide lapels, long black coat, and blue striped pants. Harajuku guy wearing a black leather coat and brown suit. 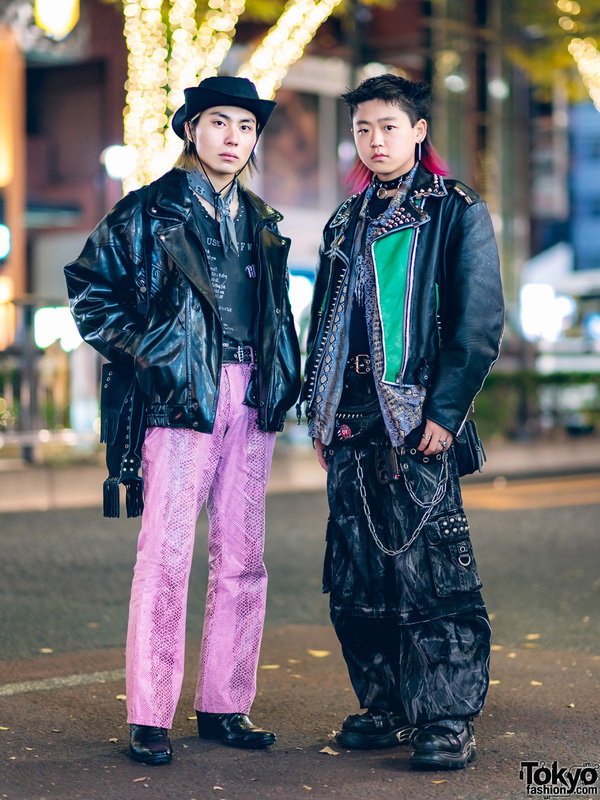 Harajuku guys sporting remake/resale leather motorcycle jackets & snakeskin prints while out and about on the street. 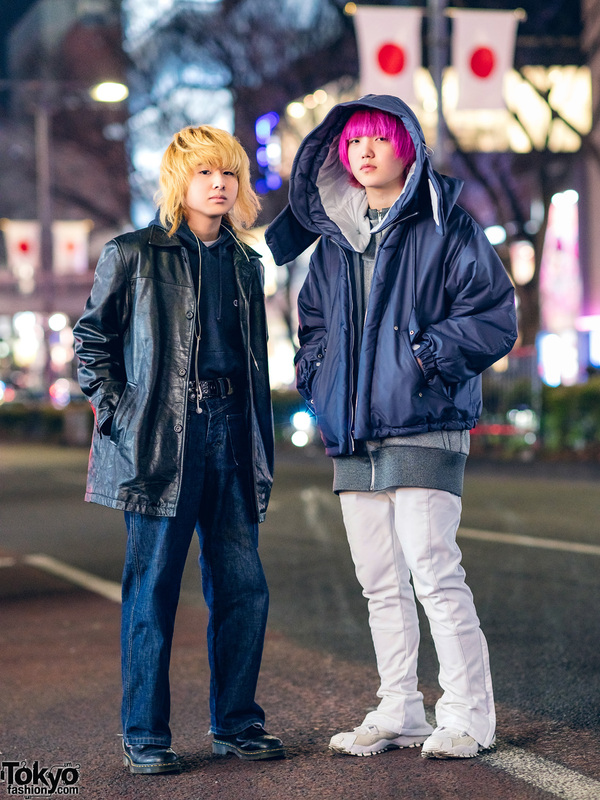 Harajuku guys sporting interesting streetwear styles while out and about on the street. 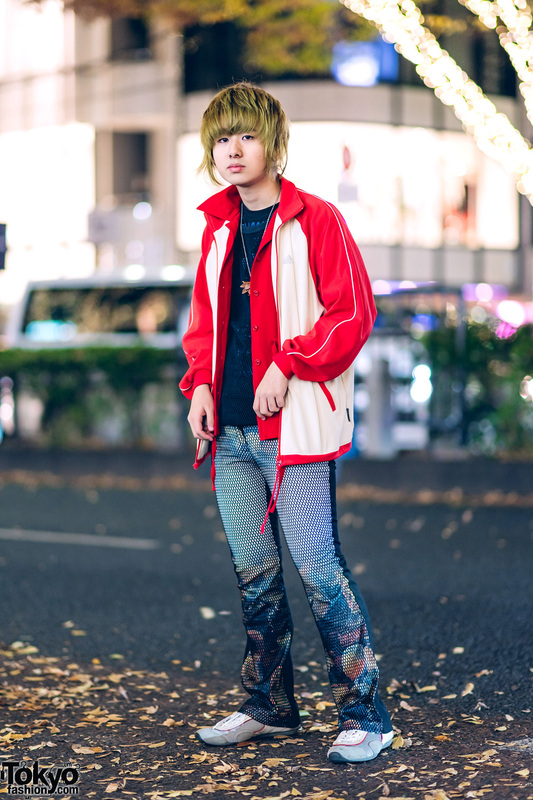 Orange-haired Japanese student in colorful street outfit with neon green shirt, cropped top, colorful printed pants, and black sneakers.